To help businesses have a clear understanding of consumers’ needs, track the relationship with consumers in real time and to seek out the opportunities of improving brand experience by identifying trends; Isobar has launched a consumer journey tracking platform using big data analytics, called ‘Code 1’. Code 1 is an open data analytical platform. It can integrate diversified consumer behavioral data and unprobed comment data in different aspects, such as social conversation data, payment data of POS transactions, online and offline transaction data, macro marketing environment statistics, media spending, etc. By analyzing the correlations between different data sets, Code 1 is able to help brands not only identify the lead measures in brand experience that trigger sales, but also maximize media ROI by improving targeting effectiveness. Using real-time category and brand performance indicators, along with consumers’ search behavior, online and offline transaction data, Code 1 will help brands have a view of the consumer journey from end to end. Code 1 also provides a customized data board, enabling brands to track consumers’ needs and business performance in real time, enabling them to make adjustments to their strategy or communication strategies quickly. An important function of Code 1 is ‘Real-Time Brand Equity Tracking’, which builds on social listening technology by integrating multiple data resources, such as traditional brand survey, sales data, search data, payment data and on-line video viewership. By leveraging the know-how from consumer research, vertical sites, client needs and brand claims, Code 1 creates a word list/thesaurus, which includes category and brand related information and human’s emotional expression. This technology can help dig out a deep insight into consumers’ brand experience and attitudes towards the brand. By tracking actual behaviours, Code 1’s data will be more reliable than brand surveys that use respondents’ responses. Code 1 also uses cutting-edge natural semantic analysis, digging out deeper insights into people’s behaviours and attitudes. So far, Code 1 has been used to make businesses across multiple sectors more efficient; including Mom and Baby Products, Automotive, Food, Skin Care, Housing Decoration, Mobile Phone and Tablets, Internet Financial Products, Airlines and more. 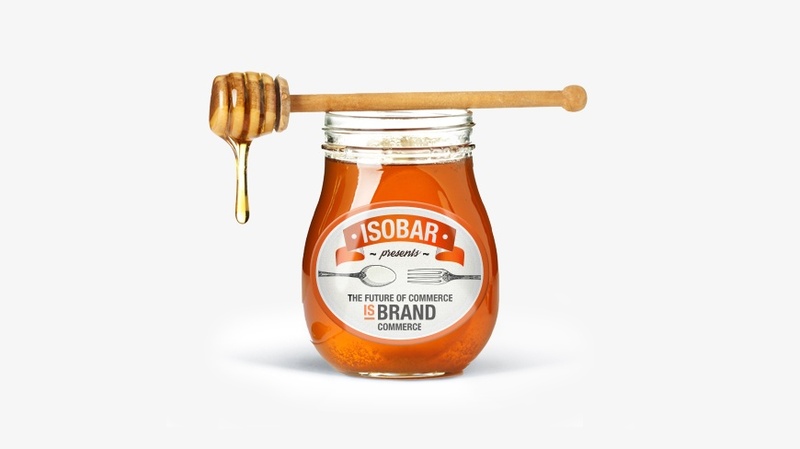 The combination of Code 1 analytics and rich digital marketing expertise, means that Isobar Brand Strategy and Data Intelligence Team is capable of providing extended brand commerce consulting services, including brand scanning, brand workshop facilitation, brand platform consultation, brand experience ecosystem map design and ROI business modelling. These consulting services will help businesses create the data-based brand narratives that are required within the brand commerce era. In the age of technology, consumers’ needs and expectations go beyond getting product and services. Technology empowers consumers to access information about a brand’s products, services and pricing from anywhere, at any time, as well as communicate with any brand whenever they want. Meanwhile, consumers expect that every interaction with a brand must be a joyful experience, and even that they can be engaged in brand building themselves – to create their own brand stories.